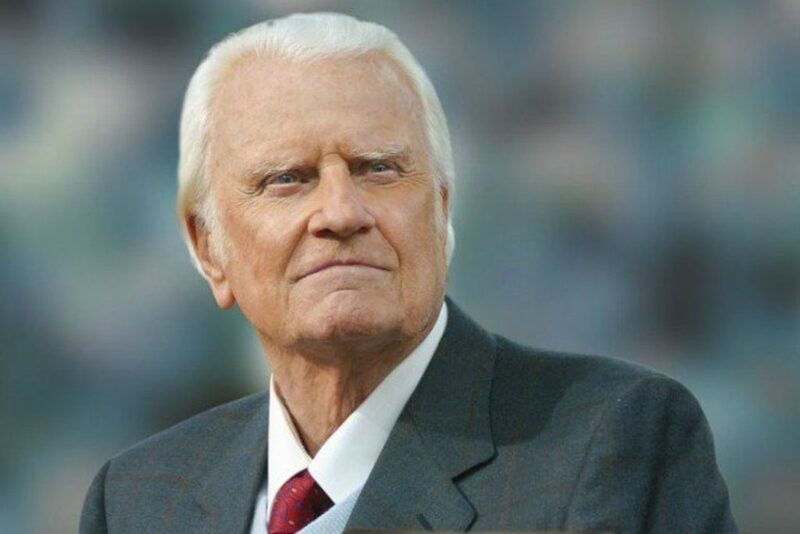 William Franklin Graham Jr., better known to most people as the Evangelist Billy Graham, passed away at the age of 99 on February 21, 2018. He passed peacefully in his sleep at his home in Montreat, North Carolina. The week following his death, thousands of people, including all 6 living Presidents, shared how he impacted their lives. Billy grew up on a farm with the dream of one day becoming a baseball star. Little did he know what plans God had in mind for his life. God captured Billy’s heart when he was 16 and from that day on Billy wanted to tell everyone about how much God loved them. Billy wanted to share the gospel with as many people as he could, using any means possible. He preached to massive crowds during hundreds of crusades around the globe. He leveraged the power of television and radio to reach more people with the gospel, something that the Church in America was hardly taking advantage of at the time. Billy believed that Jesus was the answer to every problem and the key to true peace. He fought racism along side Martin Luther King Jr. bringing unity between people of different ethnicity through the gospel. He brought hope to millions of people enslaved in communist countries by boldly sharing the gospel, which helped lead to the end of the cold war. “Had it not been for the ministry of my good friend Dr. Billy Graham, my work in the civil rights movement would not have been as successful as it has been.” -Martin Luther King Jr.
Billy Graham was a giant figure, who left a giant mark on our world. Throughout Billy’s life he traveled to all the continents except Antarctica, sharing the gospel with millions of people in 185 different countries, impacting thousands of lives deeply. He has been called “America’s pastor” because most everybody in America looked up to him. But the reason Billy gained so much respect was not because he wanted it, but because he wanted Jesus to be honored. After Billy’s passing, crowds gathered to honor him as his casket was transported from Black Mountain, N.C. to Charlotte, N.C. The people of America paid their respects as Billy lay in repose in the capital Rotunda, before his return to the grounds of the Billy Graham Library in Charlotte, N.C. for his funeral on March 3, 2018. As he had wished, Billy was buried next to his wife Ruth Bell-Graham, who passed away in 2007. Even though Billy has passed on, the message he preached still stands as a beacon of hope in this dark, hurting, broken world. Jesus loves you so much that He died and rose again to pay the price for your sins so that you could be saved and live forever in Heaven with Him. Billy may no longer be with us, but he’s in Heaven with Jesus and he’s more alive than he’s ever been before.